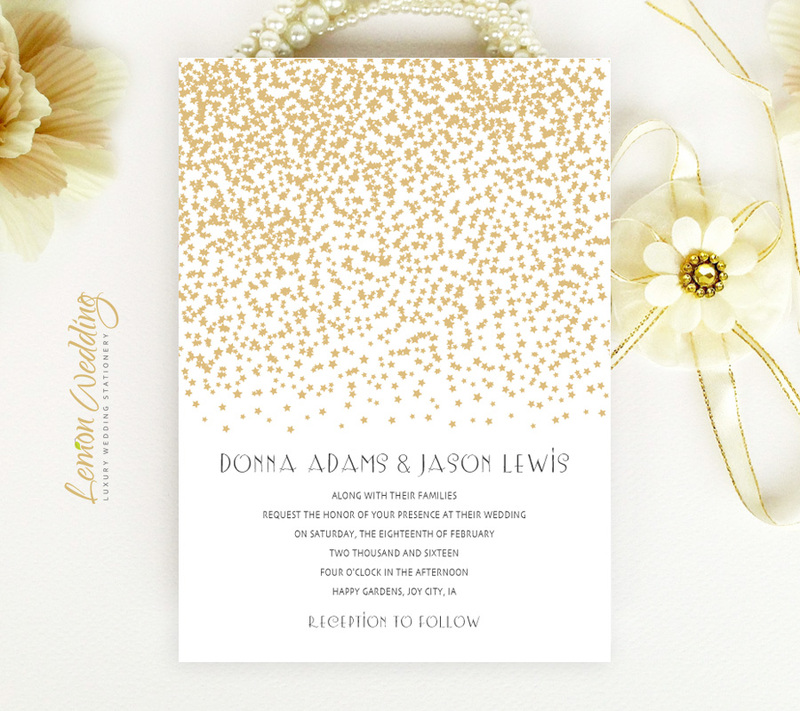 Elegantly announce your upcoming wedding with our Gold Stars Wedding Invitations. 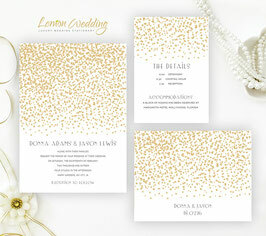 Our luxurious wedding invites will provide your guests with the important details surrounding your glamourous wedding. 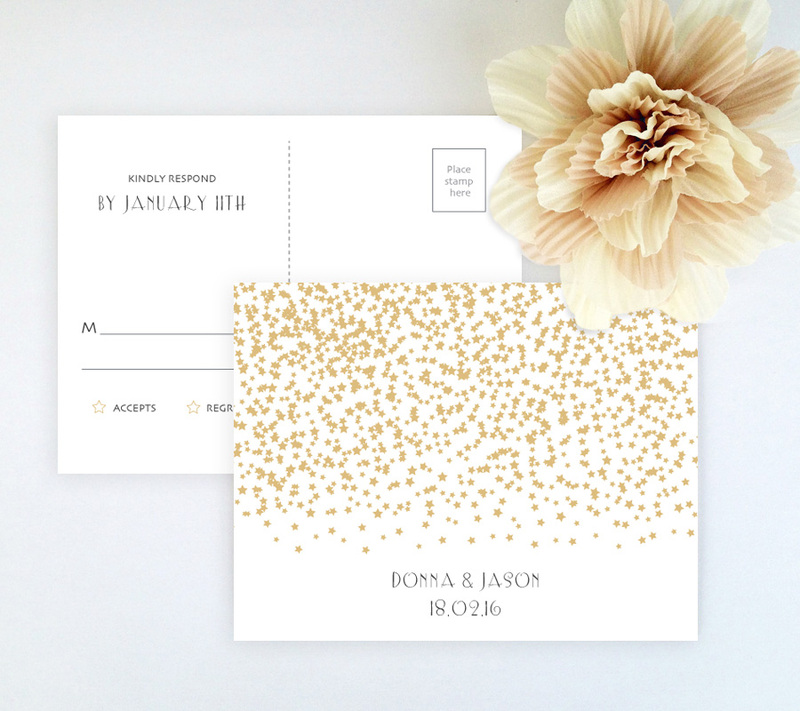 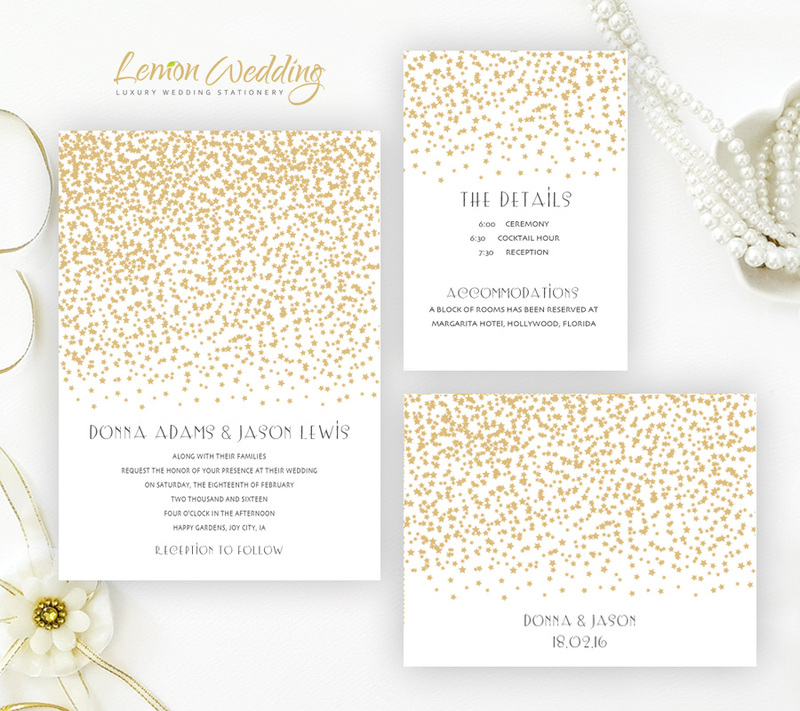 Featuring a gold stars design finished with deco style font, our invitation set includes invites, RSVP postcards and extra detail cards printed on premium card stock.